A couple of years ago, in 2016, I came up with an idea for a personal challenge. 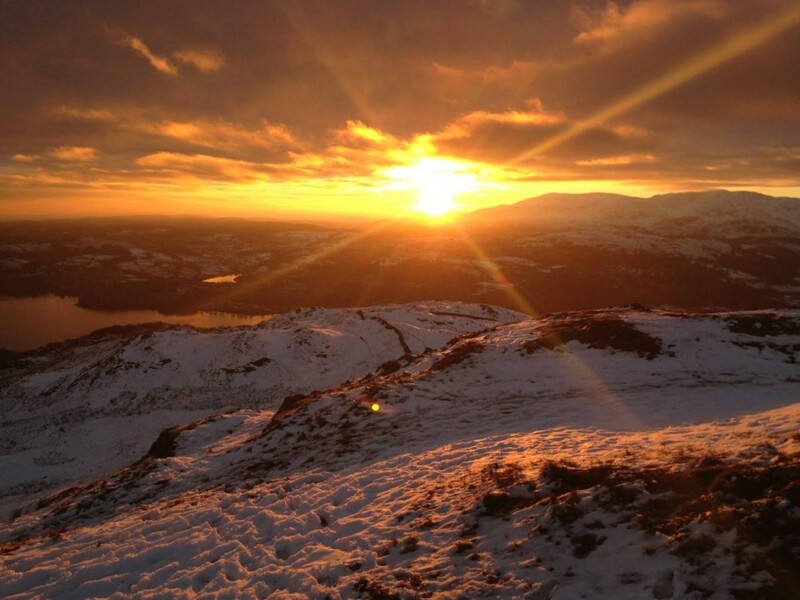 To run all 214 Wainwright summits in the Lake District within 214 days, that’s by 1st August. It would become my third successive year completing all the Wainwrights and since then, I ran the lot again last year, to make it four years on the trot. Looking back, one of the real pleasures I took from the year was in writing short reports about my Wainwright journeys and posting these on my Facebook page. I got a lot of encouragement from fellow running and walking enthusiasts who seemed to enjoy my writing and photo memories. Now I’ve started this trail running blog, I thought it would help bring these articles to life, especially the photos. They may also help inspire others to get out into the beautiful hills and mountains of the Lake District. So I intend to republish each and every one, throughout this year, and try to match the actual dates from 2016. This was my first piece, published on 20th January 2016. I hope you enjoy it as much as I enjoy remembering each one of these magical journeys. I’ve asked myself this question a number of times. It all boils down to the sheer enjoyment the whole enterprise gives me. I love planning new routes, linking Wainwright summits up in different ways. It entices me to visit places in the Lake District that I just wouldn’t go to otherwise. Trying to fit these mini adventures in with family and work life often means either early morning starts running with a head torch, or late afternoon / evening runs after work or a family day out. Of course, this also means I’m often high in the hills for spectacular sunrises or sunsets. Venturing out bagging Wainwrights also helps me to get hill fit, and as I’m planning an attempt at the Joss Naylor Challenge in May later this year, I’ll need plenty of miles in the bank to succeed. So, the whole point is really explained by this photo! This entry was posted in Best Of and tagged bagging, Lake District, run, running, summit, trail, trail running, trails, Wainwright. Bookmark the permalink.